The school year is starting to set in and classes are beginning to pick up. 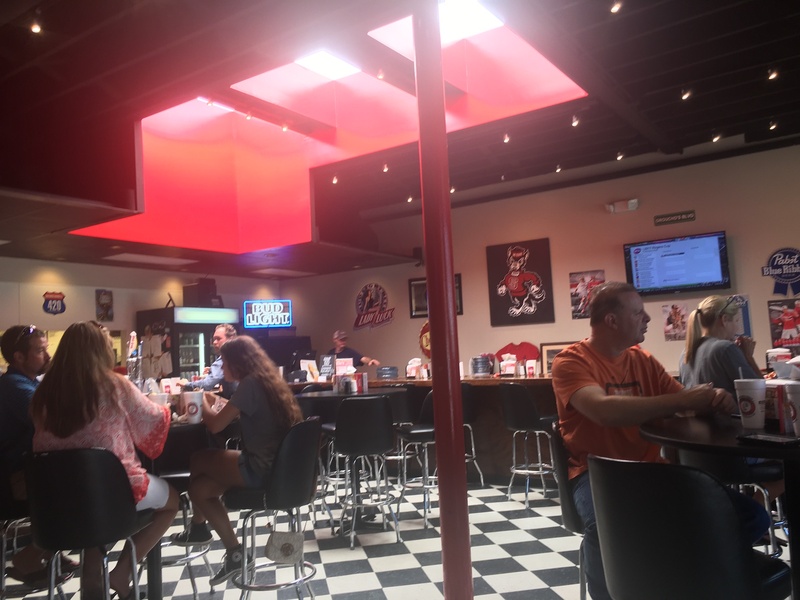 When you're not trying to get a head start on those assignments, a great place to relax and hang out with friends is Groucho’s Deli. Groucho’s Deli is located on Horne Street next to Red Line Beer and Wine. 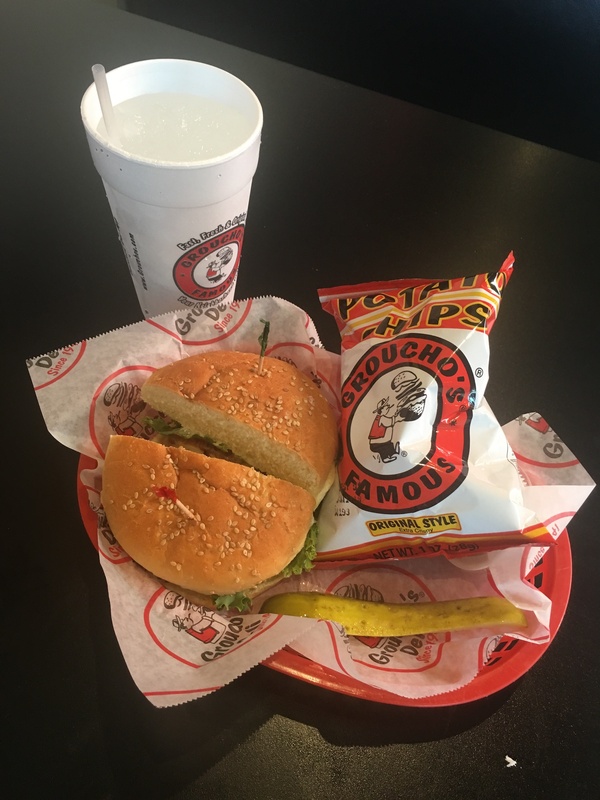 The first Groucho’s was established in Columbia, South Carolina. Harold “Groucho” Miller thought of his original recipes throughout his childhood at an orphanage in Philadelphia. 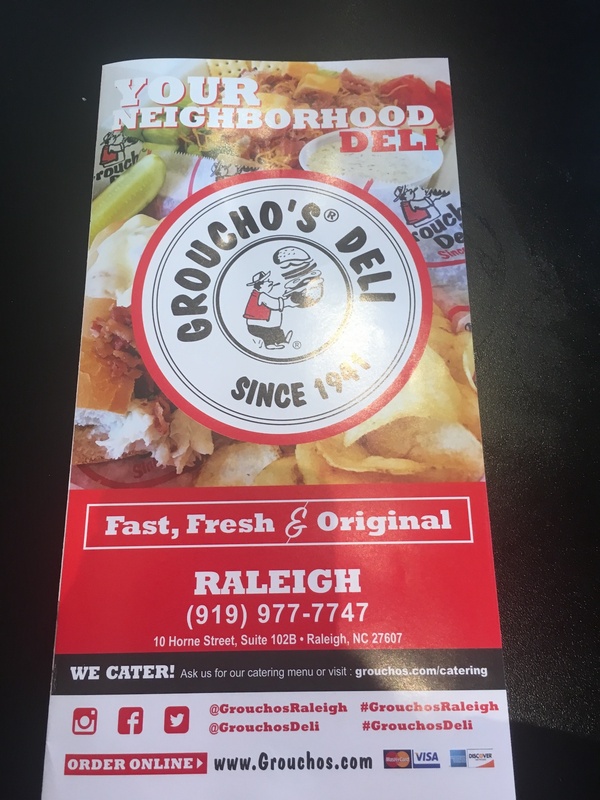 Today, Groucho’s Deli has expanded all over South Carolina and has three locations in North Carolina. When I walked into Groucho’s for the first time I was pleasantly surprised by the inside. I was expecting to see very little seating and a fast-food restaurant setting. Although they do have a to-go option, there is a very nice area to dine in. It has a classic interior design with a checkered floor and bright red accents. You can sit at a booth, table, or the bar. I decided to sit at a booth and a waitress greeted me soon after I was seated. Since it was my first time, she suggested the most popular item on the menu, the Apollo Dipper. The Apollo Dipper is a big sub with ham, turkey, melted cheese, and either their famous Formula 45 sauce or Bleu Dip. After looking through the menu, I decided to go with the BLC Chicken Critter. I only waited for a couple of minutes before my food was brought out. The BLC was served on soft seeded bread with grilled chicken, bacon bits, melted cheese, lettuce, and their 95 dressing. Along with my BLC Chicken Critter, she added a sample of their famous Formula 45 sauce and I received a side of chips.The sauce was very satisfying and tasted like nothing I have ever had before. I enjoyed the sauce with my chips and sandwich. 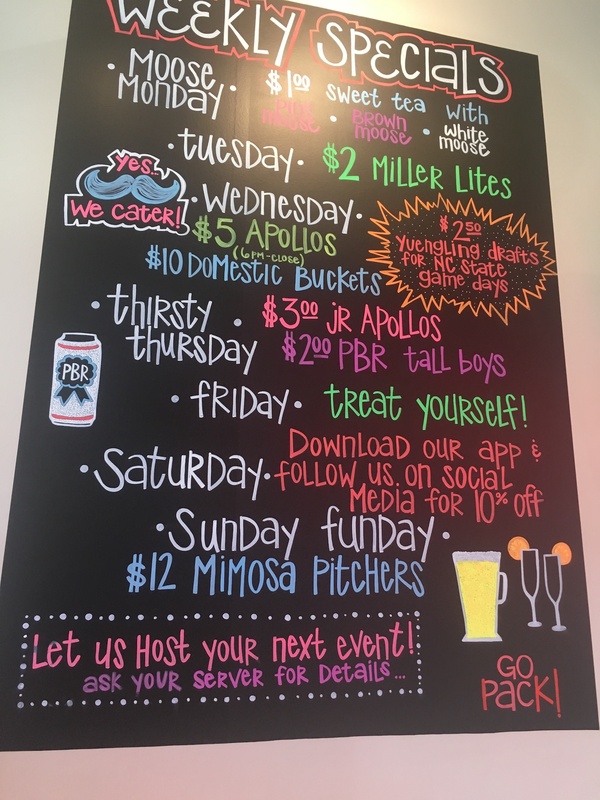 Almost every day of the week Groucho’s Deli has a special and on NC State game days they $2.50 Yuengling drafts. If you are planning an event they will also be happy to host it for you. 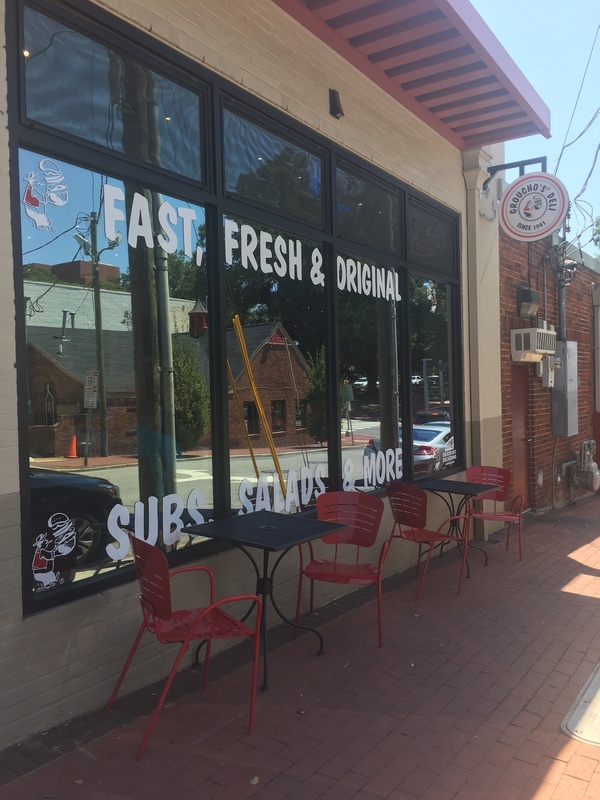 Next time you are on Hillsborough Street, give Groucho’s a visit and try some of their amazing original recipes.